Veterans Nikolai Bakinov (L) and Vladimir Dmetsov. World War II veterans in northern Russia have handed back medals they received from the government to commemorate the 70th anniversary of the Allied victory over the Nazis in a protest over the failure of local authorities to clean up a contaminated building they said was polluting their homes. 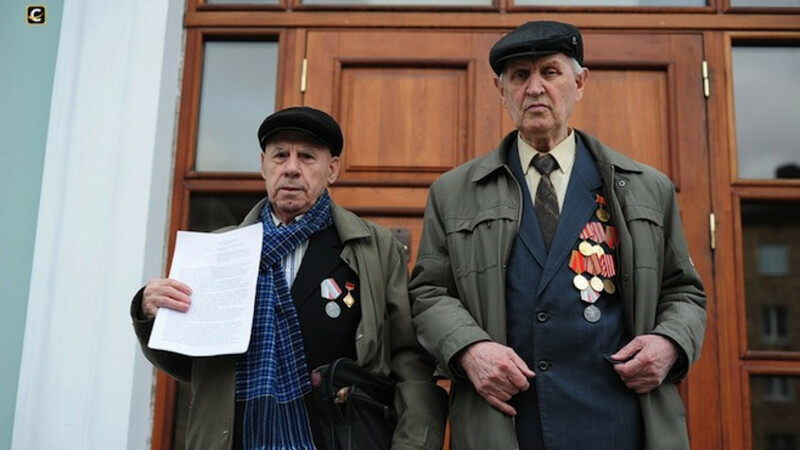 “Seventy years ago our people defeated fascism, but we, veterans who have lived to this day, cannot defeat bureaucracy and the indifference toward us and toward more than 80 other residents of our building,” two World War II veterans from the Karelia region said in an open letter, a copy of which was published by the local Stolitsa-na-Onego (Capital-on-Onego) news portal on Wednesday. The authors of the letter — Nikolai Bakinov and Vladimir Dmetsov — walked into the Karelia administration building in the regional capital Petrozavodsk on Wednesday morning and placed their anniversary medals, which Russia has been handing out to war veterans this year, on a receptionist's desk, the report said. The protest was prompted by the authorities' years-long failure to dismantle an annex that had been added to their apartment building — allegedly, in violation of construction regulations — despite repeated promises, the veterans were quoted as saying. Before the annex went up several years ago, Bakinov's wife, who is partially paralyzed, had been able to sit by the window “looking out at nature,” but “now it's as if we are in prison,” he said, adding that the building's inhabitants had been battling for the annex to be dismantled for five years. Bakinov and Dmetsov addressed their open letter to regional governor Alexander Khudilainen — who took the dismantling of the annex “under his personal control” two years ago, Dmetsov said — with a copy sent to President Vladimir Putin. 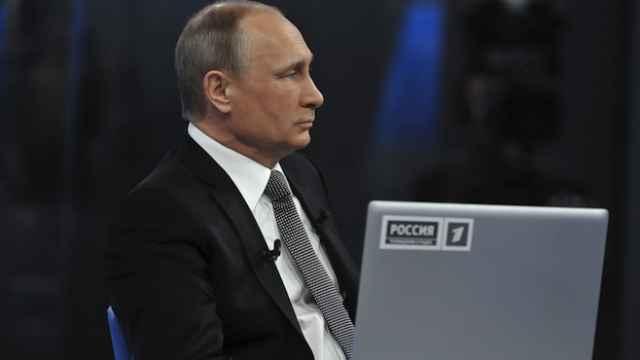 During his televised call-in show earlier this month, Putin pledged among other things to help World War II veterans who were having housing problems. 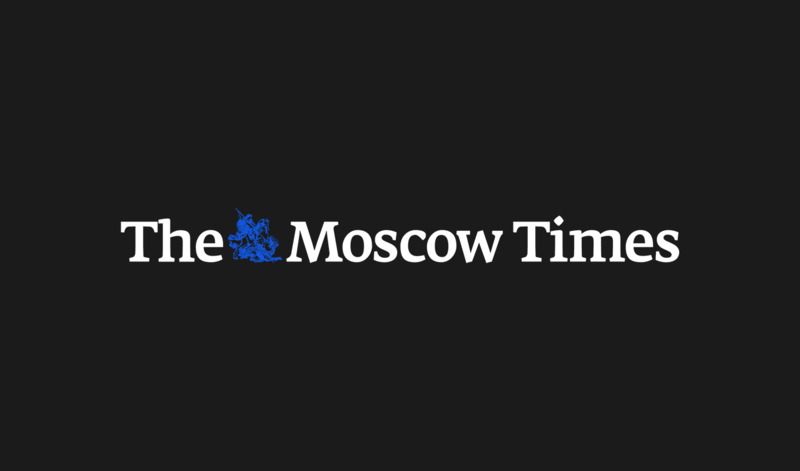 As Moscow prepares massive celebrations for the May 9 anniversary of the victory, other veterans around the country have complained about bureaucrats' insensitivity, according to Russian media reports. In the Ural Mountains city of Yekaterinburg, veterans were treated to a “tea party” at a local funeral home named Khelp, “surrounded by wreaths and other funereal attributes,” local news site Ekb-room reported Wednesday. Photos accompanying the report showed elderly men and women, some with rows of medals on their chests, sitting or standing in front of a wall covered with memorial wreaths.